Have the day of your life in the Heidiland region! 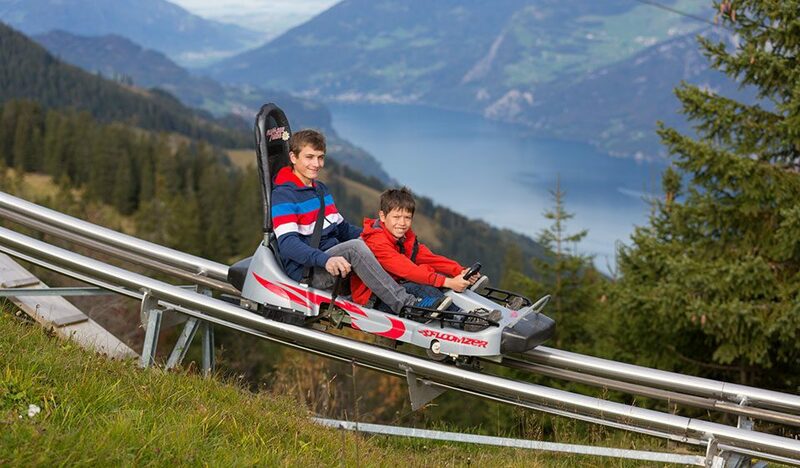 Go down the toboggan run breathtakingly fast, or go by sled. Balance and clamber on the climbing tower CLiiMBER. Have fun on the inflatable, go mountain biking or play tennis. Have a nice family day to the Freiamt Fables Trail, the Alpine Flora Path or the Geo Trail. It is all possible on the Flumserberg in the Heidiland region! Experience the unique themed trails like the fables trail, Heidi's alpine flora path or the Geo Trail. Also, there are parks for little animals; children can ride on ponies, and have fun on the adventurous playgrounds with trampoline. 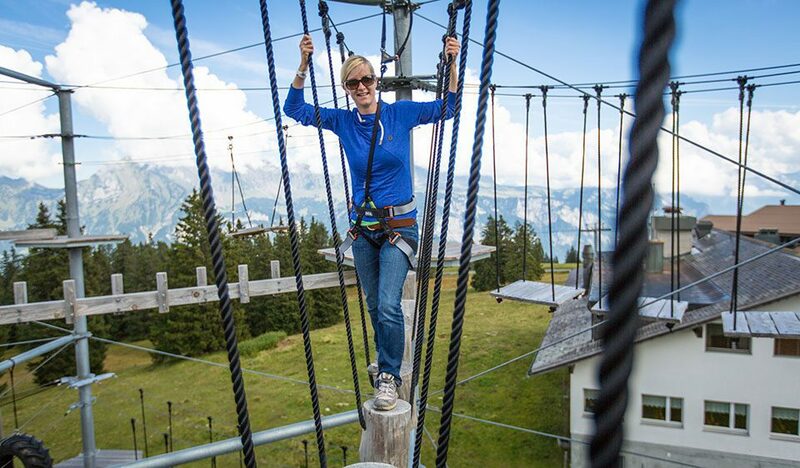 When you go on holiday to the Heidiland region, you cannot skip a visit to one of the many activities and adventures. Relive all the adventures by watching Heidi and Peter's movie at home. More information is available at www.heididorf.ch. 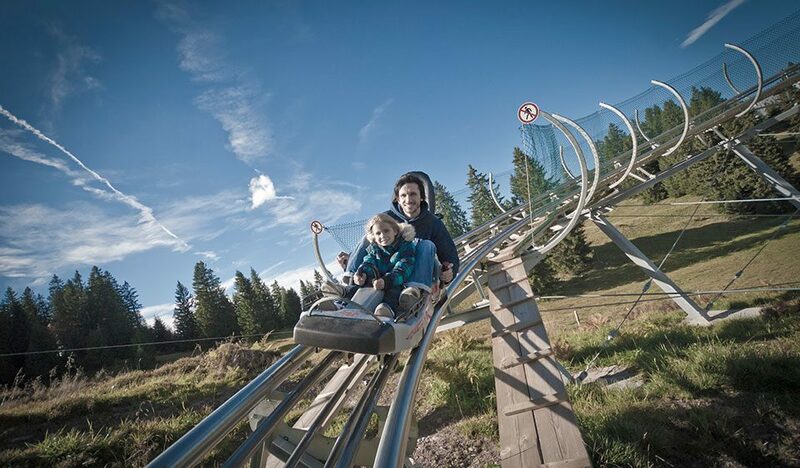 Toboggan run FLOOMZER is situated next to the mountain restaurant Chrüz, and it has a length of 2 kilometers. 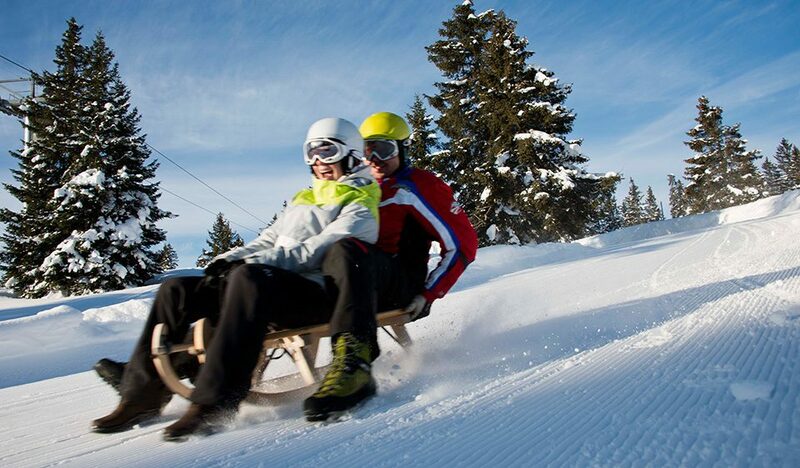 The run covers a height difference of 250 meters, and it reaches speeds up to 40 kilometers per hour. At the mountain restaurant Prodalp, there is the CLiiMBER. 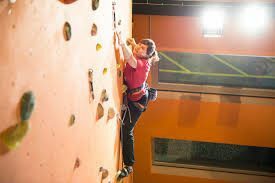 On a large 15 meter high climbing unit, everyone can, doubly belayed, become proficient in climbing, as long as they are older than 4 years. For the younger children there is the miniCLiiMBER. Near Prodalp, you can climb and float from the top floor of the flyingCLiiMBER. 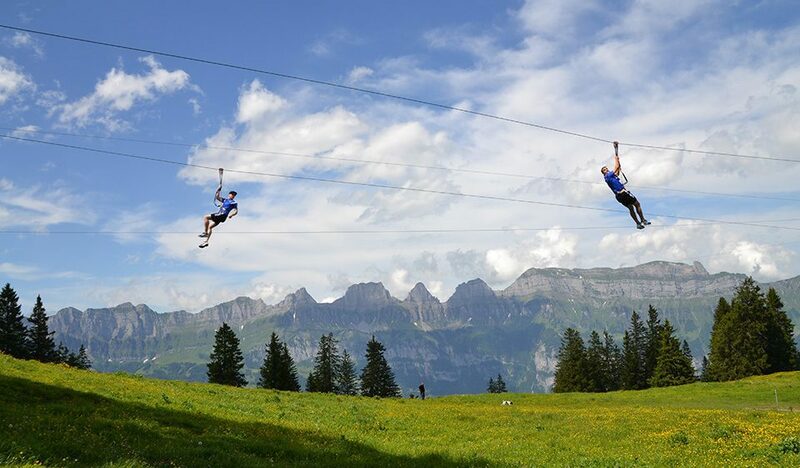 Balance, carefully belayed, on 6 different lines, and enjoy the view around you. 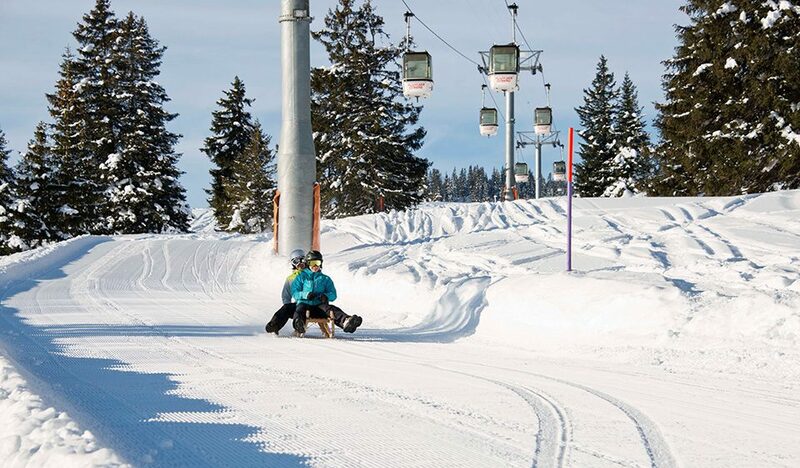 While you blow off steam on the ski slopes of the Flumserberg, your children have the best day of their lives on this 3 kilometer long sledding course from Prodalp to Tannenheim. Do not forget to enjoy a cheese fondue or Jagertee in Berggasthaus Prodalp beforehand. This swimming pool, that is no less than 25x10 meters, is a 5 minute bus drive away from Tanneboden Alp. From Resort Walensee, you can take a dive into the delightfully warm water in less than half an hour. 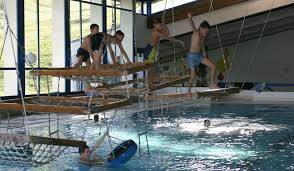 There is a children's pool for the youngest children, and for the older children there is a Tarzan climbing frame in the big pool. 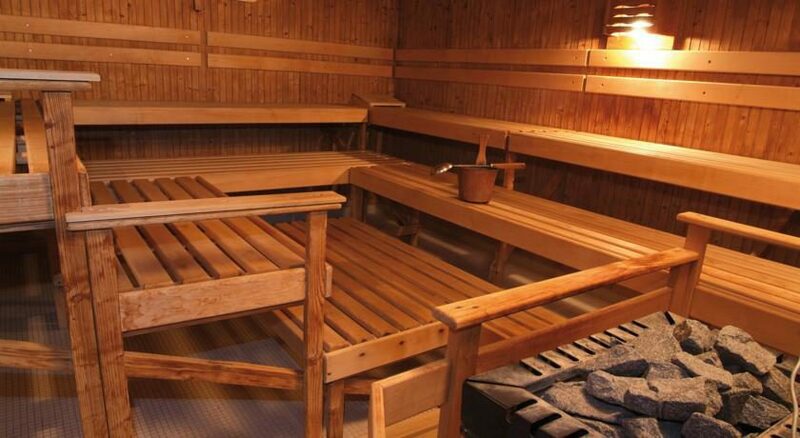 Adjacent, there is a Finnish sauna, in which you can relax after a refreshing dive. In the Linth Arena, sports enthusiasts can fully express themselves. 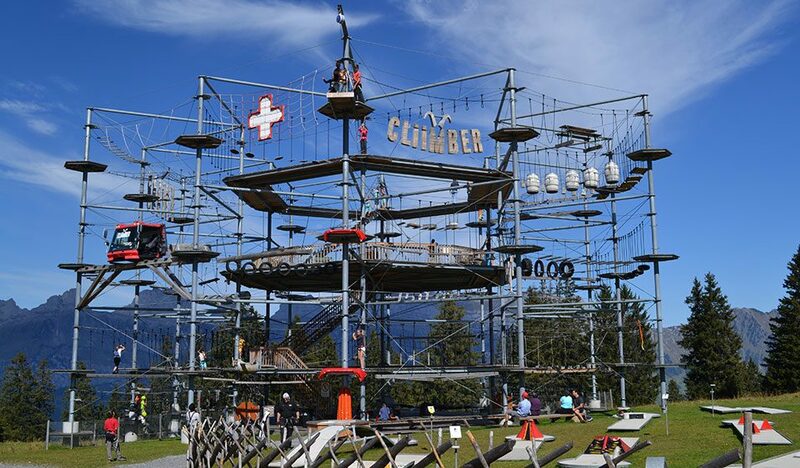 Fitness, diving and playing around in the swimming pool, or climbing and clambering in the climbing hall. 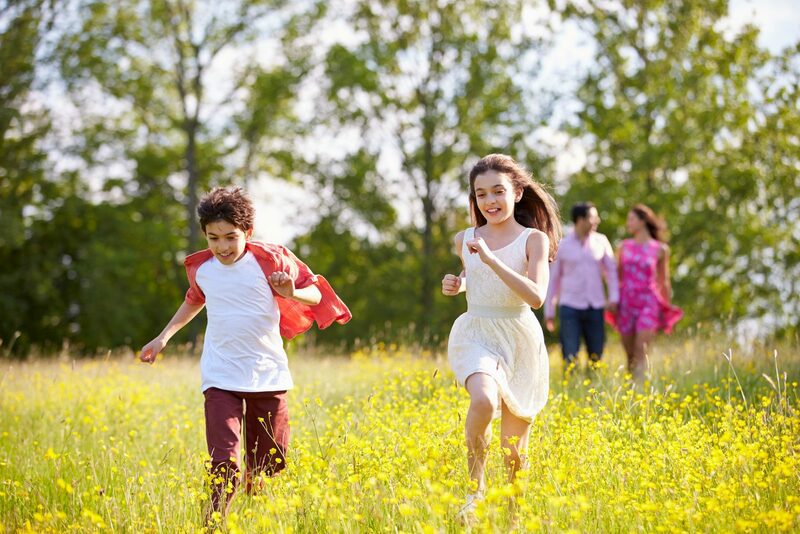 While your children enjoy themselves here, you can enjoy a relaxing massage or sauna. Alpamare is Europe's largest indoor water and fun park. 11 water slides with a joint length of 1800 meters offer endless amounts of fun. Those who prefer to take it easier can have a nice swim in the Rio Mare swimming pool, or dip into the over one meter high waves of the wave pool. 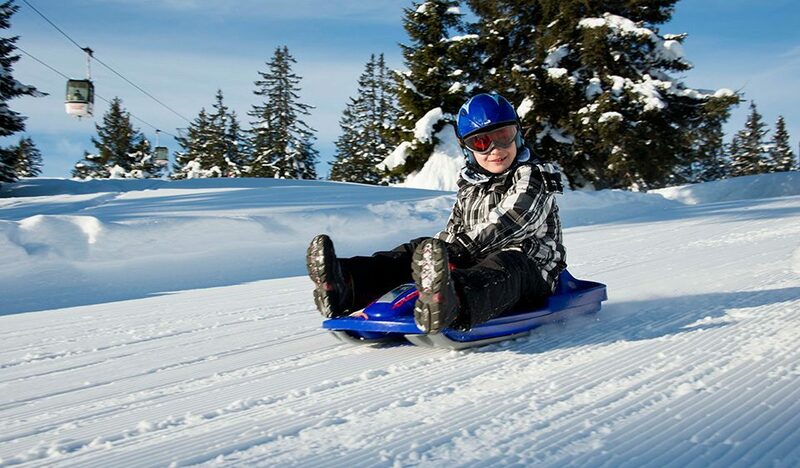 While your children are having a good time, you can enjoy the peace and relaxation of the Swiss Wellness at Alpamare. Relaxing in the Alpamare-Therme of over 32 degrees, alternating with the refreshing cold water bath, or going into the iodine salt thermal baths with massaging whirlpool systems and temperatures up to 36 degrees! Finish your wellness experience with a relaxing visit to one of the various saunas, or get a tan under one of the advanced skin-friendly high-tech solaria. The culinary offer is extraordinary as well. In restaurant Alpagrill, you can enjoy grilled specialties throughout the year. In restaurant Alpasnack you can enjoy drinks, snacks, fresh salads, or just a delicious plate of fries. 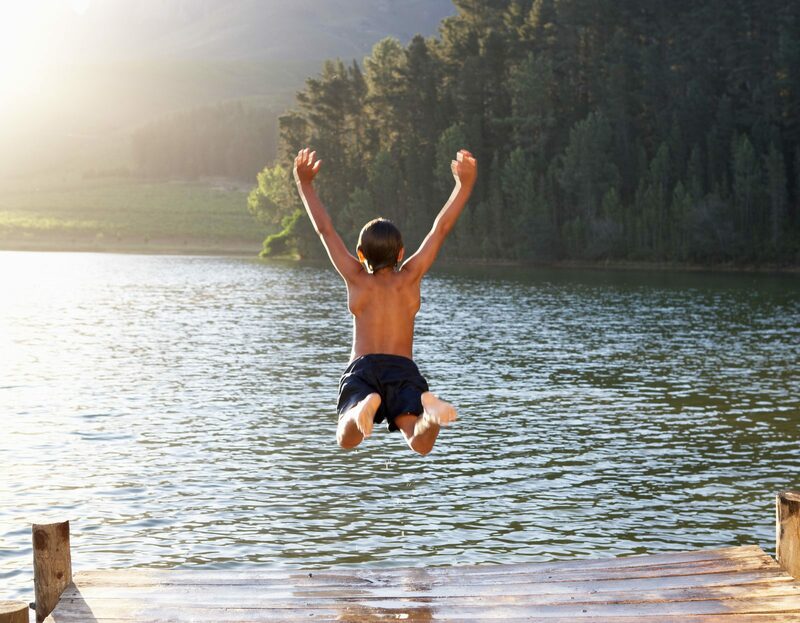 There are various outdoor playgrounds for your children on the Resort. You can enjoy a drink and a bite on your terrace, while your children climb and clamber. On holiday, a game of jeu-de-boules is always a fun activity to get to know other holidaymakers. 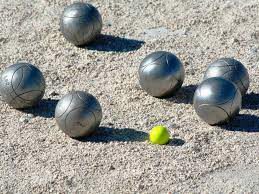 Pétanque, as the game with the balls is called as well, can be played individually or in teams of two. Four to six players is the most fun; the game requires at least 2 players. The game rules are simple, the team with the most points wins.